Funeral services for Jerold Thomas “Jerry” Upchurch, Jr., will be held at 4 p.m. Sunday, November 11, 2018 from the chapel of Taylor Funeral Home with Bro. Danny Tidwell officiating. The family will receive friends on Sunday from noon until service time. Honoring his request, he will be cremated, and his ashes eventually placed at the family plot at Union Cemetery in Dickson. Jerry died unexpectedly Monday, November 5, 2018 at Three Rivers Hospital in Waverly. 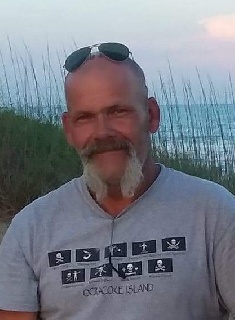 Born in Dickson County, Jerry was the son of Patricia Myatt Upchurch and the late Jerold Thomas Upchurch, Sr. He was married to Anita Gray Upchurch for 31 years. Jerry worked in construction as a carpenter and worked with Gerald Gaskins in home construction. He loved life near the Tennessee River at Sycamore Landing in Humphreys County. Survivors include his mother, Patricia Upchurch, Dickson; his wife, Anita Upchurch, his children, Jessica Kerski (James), of Washington and Jerold Upchurch, III, Dickson; his sisters, Debbie Williams (Sam) and Dawn Upchurch, all of Fairview; and his grandchildren, Kye Kerski, Kenley Mayberry, and Katy Litton.